Kolkata street foods are irresistibly delicious. No doubt, they have become a part of the daily life of every Calcuttan. Life in Calcutta is simply unimaginable without them! So, whenever you are in this ‘City of Joy’, do not forget to treat yourself to these gastronomic delights that Kolkata boasts of. Kathi Roll is a delicacy that has attained immaculate perfection in the warmth of Kolkata streets. When a parantha is stuffed with juiciest chicken kebabs, succulent mutton pieces, fried egg, luscious paneer or with delicious keema, you get the famous kathi roll of Kolkata. Rolls are easily available in the streets of Kolkata. Choice is yours! Ask for egg roll, chicken roll, egg-chicken or even egg-mutton rolls, paneer rolls or tikkia roll and gobble it up to your heart’s content. 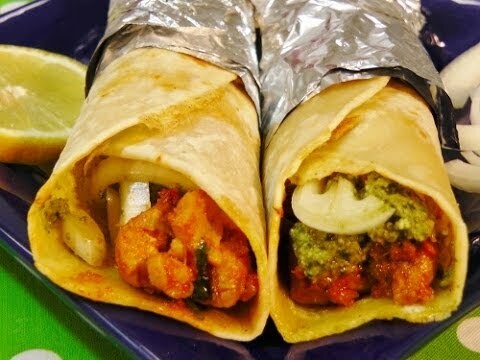 After all, kathi rolls definitely top the list of Kolkata street foods in terms of popularity! The pocket pinch is about Rs 35 for an egg roll, Rs 50 for chicken roll/paneer roll and Rs 60 for egg-chicken roll. Doesn’t that make you feel happier? Life in Kolkata is meaningless without a sumptuous addition of phuluri, beguni, alur chop, piyanji and vegetable chop to your snacking sessions. Whether it is about enjoying an adda with close friends on a rainy day or you are just hoping to gorge on something delicious, oily, ‘besan-fried’ and sinful for your evening snack to perk up a dull and boring day, telebhaja comes handy to every Calcuttan. Food lovers that the Bengalis are, the range of these mouth-watering telebhajas is unending. It never starts and ends with potatoes (alur chop), onion rings(piyanji) and egg-plants (beguni). Stretch your imagination further and the list is endless. You have coriander leaves for dhoney-patar chop, Bombay Duck for lotey maachher chop, prawns for chingrir chop and so on! The best part is that Telebhajas are dirt cheap! Alur chop, beguni and phuluri– a piece of this appetizing snack is available for Rs 4 or 5! 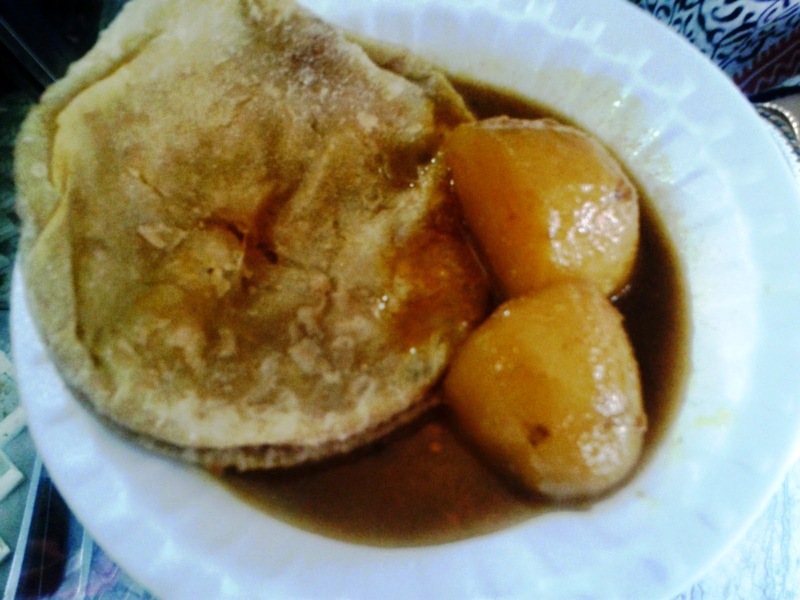 Sunday breakfasts in Kolkata is always about Radhaballavi and alur dom. Fried urad dal/chana dal bread that it is, gorging on a plate of Radhaballavi and alur dom at your favourite stall/ mishtir dokan (sweet meat shop) is a filling and satisfying experience. That dash of hing gives a delectable aroma and so do the fennel seeds. Why wait for a Sunday? Quench your radhaballavi appetite on weekdays for a quick brunch or evening snack post-office hours! Just be ready to shell out Rs 20 for a plate of 4 Radhaballavis and alur dom. Usually treated as an accompaniment to tea during the evening, Singhara is a quintessential Bengali snack for friends or relatives for an evening visit. Stuffed generally with a delicious filling of mashed potatoes and peanuts, this vegetarian snack has travelled a long way after all! During winter months, you can surly ask for ful-kopir shingara and expect to dig your teeth into the flavoursome chunks of cauliflowers and peas. 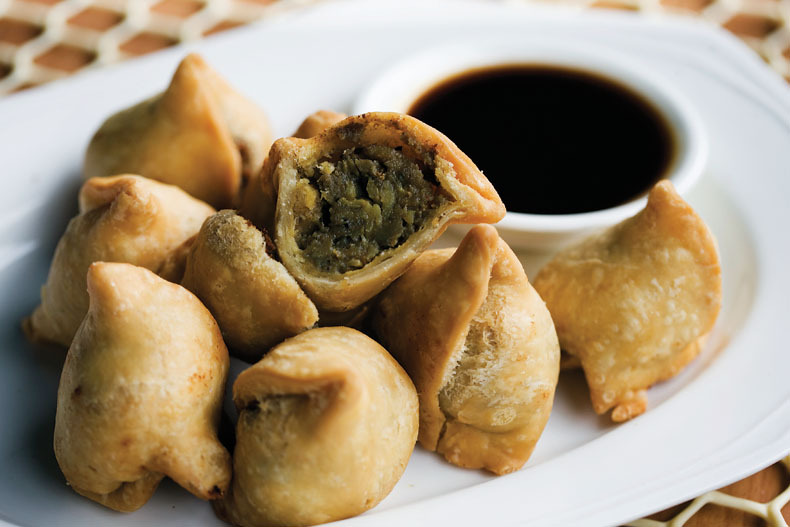 Enjoy non-vegetarian variations of the same by asking for shingaras stuffed with mutton keema and chunks of chicken too! The ‘normal’ Shingara is priced at Rs 5 to 10 per piece! If Kolkata telebhaja is famous, so is dimer devil. Dimer devil or egg chops are made of half-a-boiled egg wrapped in a delicious mixture of mashed potatoes, dipped in batter, encrusted with bread crumbs and then deep fried. It is available in almost every fast food stall and kiosk spread over the streets of Kolkata. Ahhh…….heavenly it is! You just need to pay a small amount of Rs 10 to 15 per piece of this heavenly delight. Hot pick: Do not miss Golbarir dimer devil because the secret is, instead of potatoes, they use keema! So, don’t forget to try out these delicious street foods during your next Kolkata visit! After all, your Kolkata visit is rendered useless if you can’t recount your memories of having relished telebhaja and rolls, and devils and shingaras and radhaballavi! You made me feel sooooo hungry gurl!! Previous story Plum Hello Aloe Ultralite Day Lotion SPF 20 – Review.